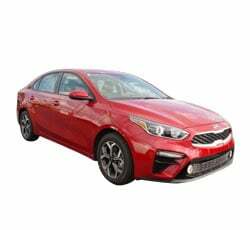 The 2019 Kia Forte is a compact sedan with four doors. The Forte is Kia's best-selling vehicle. It's a great budget vehicle that isn't built like most budget vehicles. The build quality, performance and features are what you would expect from a more expensive car. Not only will the Forte save you money on the initial purchase, but it will save you at the gas pump as well. It has one of the best fuel-economy ratings in its class. From 2017 to 2018, Kia enjoyed some of its best sells numbers for the Forte. Many automobile manufacturers would be content with that and eschew any major changes. Kia, however, went all out with some exterior and overall-style upgrades. The results are a beautiful car that looks as if it should cost way more than it does. The interior and trunk space have been expanded for 2019 without too much of a difference in the car's overall size. The powertrain gets a slight upgrade and more horsepower this year too. The Kia Forte gives you an efficient, well-engineered engine. The 2.0-liter, 4-cylinder motor cranks out 147 hp and 132 lb-ft of torque. While that's not the most power out there, it is one of the best engines available in this price range. You can select a 6-speed manual transmission system or Kia's new CVT. Both work wonderfully. Shifting is smooth and accurate with the CVT. The 2019 Kia Forte is a fun little sedan to speed around town in. Steering is accurate and offers a lot of feedback. The small turning radius and size of the Forte make it easy to park or maneuver. Braking is firm yet smooth and provides just the right amount of stopping power. The Kia Forte gives you an impressive amount of standard features. Many of these are high-tech safety features and driver-assist systems. One of the areas that the Forte excels in is with its infotainment system. You get a large, 8.0-inch touchscreen and voice controls. There's an onboard navigation system. Apple CarPlay and Android Auto connectivity are available as well. One of the best reasons to buy a 2019 Kia Forte is the starting price. It's one of the best budget sedans on the market today. 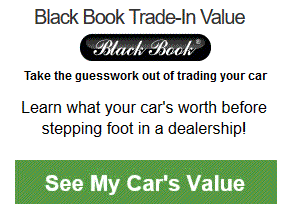 Even at the top trim levels, you may end up paying less than you would for a competing vehicle. While it's an affordable car, it's not built cheaply. The reliability and quality are impressive. The interior is large and provides ample leg and headroom. It can seat up to five people and should accommodate most average-sized adults. The interior gives you a lot of small-item storage too. The seats in the Forte are supportive and cozy. No one will mind long road trips in this compact sedan. The 2019 Kia Forte has received a makeover this year. The sleek shape of the new Forte is taking some queues from the Kia Stinger. It has a long hood and a shorter trunk area. This gives the Kia Forte a sporty appearance. Other details, like the shape of the head and taillights, give the Forte an air of elegance. It looks more like a luxury sedan than a budget-friendly compact. The Kia Forte gives you a great selection of safety features. Many of the best features come standard too. 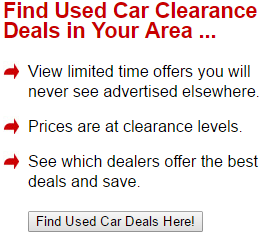 This ensures that you will be driving a safe vehicle no matter what trim package you go with. You get active lane control, emergency braking and adaptive cruise control. You can opt for rear-view cameras and a blind-spot monitoring system. One of the best things about the 2019 Kia Forte is the fuel economy. It offers one of the best fuel-economy ratings available in a compact sedan. According to the EPA tests, the Kia Forte can get you up to 35 mpg. That's the combined rating for the most efficient trim level. That translates to around 31 mpg in the city and 41 mpg on the highway. Kias in general are known for being a reliable vehicle. The Kia Forte is no exception to this rule. For the past several years, the Forte has ranked as one of the most reliable compact sedans on the road. When you consider the low base price, this makes the Forte an excellent purchase. The 2019 Kia Forte has managed to stuff a ton of storage space in the rear trunk area. This almost seems like a miracle of engineering, as the rear end seems short. This was a design choice along with an extended hood to provide a sporty look. Still, the trunk offers 15.3 cubic feet of space. That's more than the 2018 model and more than many of the competitors in this class of vehicle. The 2019 Kia Forte gets good performance out of its engines. Unfortunately, the base models can be a bit sluggish when it comes to acceleration. The engines are built for efficiency more than sporty performance. It's not bad at all, but if you want something quick, the Forte may not be your best option. 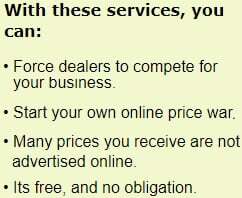 Most of the consumers who choose a Kia will do so because of the low cost. There are cheaper sedans than the Kia Forte on the market, though not many. If you're on the tightest of budgets, you may wish to select something else. It's worth noting, though, that the Kia Forte gives you a ton of features and a higher quality that its cheaper competition. In the long run, this will likely make it a better value. The 2019 Kia Forte is currently only available as a 4-door sedan. Many competitors offer their compact cars in the form of a sedan or a hatchback. Unfortunately, there doesn't seem to be any immediate plans from Kia to give us that option for the Forte. The top three competitors for the 2019 Kia Forte are the Honda Civic, Hyundai Elantra and the Nissan Sentra. the Civic is one of the most popular cars in this class. It's a solid performer with excellent steering and handling. The Kia Forte gets slightly better fuel economy. It has a tad bit more storage space too. Honda's warranty covers the vehicle for 5 years or 60,000 miles. Kia's plan gives you protection for 10 years and 100,000 miles. Many of the specs of these two vehicles are similar. The Kia wins here due to its significantly cheaper price tag. Hyundai's Elantra offers a similar powertrain to the one used in the Kia. Both vehicles have the same horsepower and torque ratings. Both offer a nice driving experience. Once again, the Kia comes in at a much lower price point. Kia also gives you more standard features. Apple CarPlay and Android Auto are standard for the Kia but will cost you extra on the Hyundai. The Kia Forte's infotainment touchscreen is much larger too. Overall, the Kia Forte offers the better value. The Nissan Sentra and Kia Forte are basically equal when it comes to fuel economy and price. The Kia Forte, however, beats the Sentra in almost every other category. It gives you better overall performance. You get a higher quality and more comfortable interior with the Kia. The Kia also gives you more options, better safety features and a superior infotainment system. The Forte simply comes out ahead as the best value no matter what vehicle you put it up against in this class. The 2019 Kia Forte is a practical and stylish car that is fun to drive. It's very affordable and gets great gas mileage too. It's safe and reliable transportation that can comfortably haul around 4-5 people. The car comes with a ton of great standard features. This makes the Forte an excellent value purchase. The interior is roomy and the trunk offers plenty of cargo space. The Forte is everything you could want in a sedan at a great price.